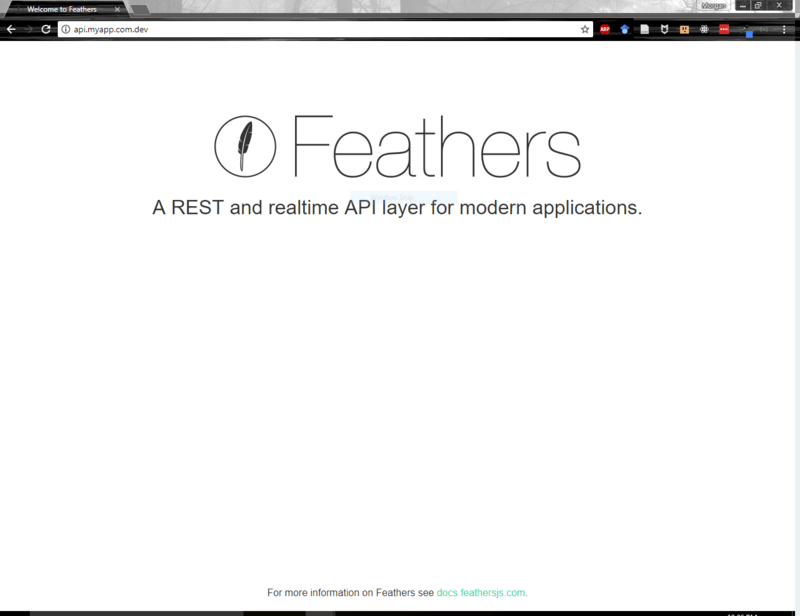 Feathers–An open source REST and realtime API layer for modern applications. NOTE: You don’t have to use VirtualBox for hosting Vagrant boxes. You can also use another provider like VMWare if you know that platform better and are more comfortable with it. I prefer VirtualBox because it is FOSS. Alternatively, if you’d like to install other versions of Node (like the current, non-LTS version) you can find the instructions on the NodeSource repo site. Of course you can substitute any URL that you’d like here, but be careful not to use an actual URL that you really want to visit on the web because it will block your computer from having access to it. Follow the prompts and answer the questions as they come up. The defaults are probably fine for most of the questions, although I’d recommend coming up with a more unique app name, and also a good, short description. The only thing you should have to change is the port number. You can either edit this from the virtual machine using a terminal-based editor like nano or you can edit it in the host OS in your favorite editor. 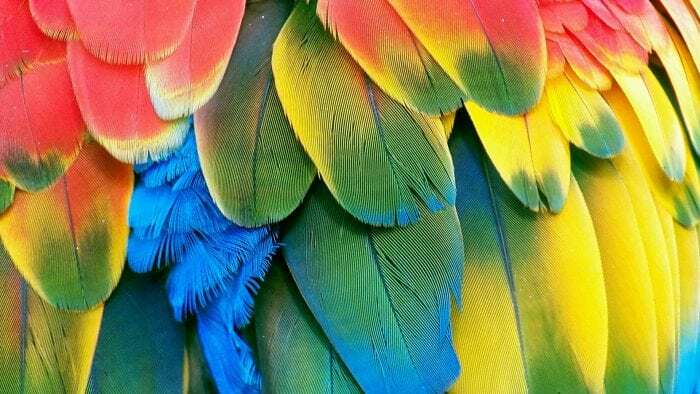 The file should be at /path/to/your/feathers/api/config/default.json. 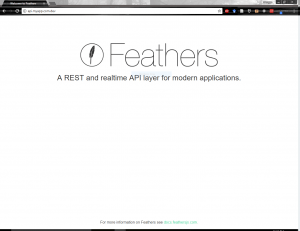 Hopefully at this point you’ve got a foundation for creating your REST/realtime API service. 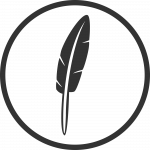 In my next tutorial, I plan to show you how to configure Feathers to work with mongoose and MongoDB and also how to consume your new API from an Angular/Ionic app. Stay tuned!